COMPUTERx Consulting is an independent management consulting firm located in Miami, Florida. 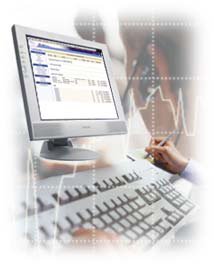 We specialize in assisting healthcare facilities and small businesses with their information systems needs. We have been in business since 1974 and have many satisfied clients throughout the United States. Our expertise and individualized attention have been summoned to assist our clients in a wide range of activities, including systems selection (for the many specialized systems demanded by today's modern healthcare facility), implementation assistance, long range planning, system audits and contract negotiations. Our broad-based knowledge of the vendors and their respective systems has been developed over many years and our clients appreciate our active and extensive in-house research library. Copyright © 1995-2006 COMPUTERx Consulting. All Rights Reserved.